Blue and white small dish with crane design made in Japan available at Miya! 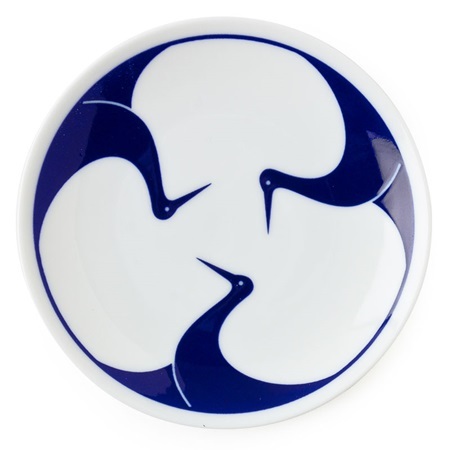 Traditional symbols made modern and elegant with deep navy blue and a clean design. This one features beautiful cranes that symbolize lucky, longevity and fidelity! Sold individually or as part of an assorted set of 4 in a black gift box. Perfect for treats during tea time or to rest the tea bag. Great for trinkets, jewelry, soap, votive candles or just display. Dishwasher/microwave safe.